To help you stop mousing around and become a keyboard maestro, I rounded up the best resources for finding, using, and creating shortcuts. Lincoln Spector struck a nerve with his Jan. 13 column, “Twenty-six ways to work faster in Windows 7.” Many of those tips involved keyboard shortcuts. After all, almost any time you can use the keyboard instead of the mouse, you work faster. But there are lots more shortcuts where those came from. This article aims to show you where to find the ones that can speed up your workflow. In case you can’t find the shortcuts you need, I’ll show you how to create your own. You probably already know that you can invoke many menu and dialog-box items via the keyboard by pressing the Control or Alt key plus an underlined letter. For example, pressing Alt + F in most apps opens the File menu; then pressing the underlined letter N opens a new document. You might also know that when you press Alt + A, you apply dialog-box changes. Direct keyboard shortcuts to menu commands (such as Ctrl + C for Copy) are typically shown next to the command in the menu itself. For a great introduction to using keyboard shortcuts, check out Gizmo’s Dec. 3, 2009, column. For general strategies and more tips, see Scott Dunn’s Feb. 25, 2010, column. But hundreds of keyboard shortcuts for commands in Windows and widely used apps such as Internet Explorer and Office are not explicitly hinted at in menus and dialog boxes. In other words, you need to actually learn them. I can hear you groaning. Yes, learning a whole bunch of keyboard commands is not my idea of a fun way to spend a weekend, either, but if you judiciously pick a few, list them in a cheat sheet that you stick on your monitor, and practice them for a week or two, they’ll become second nature. Managing windows is probably one of the most fertile areas for keyboard shortcuts because otherwise, you manipulate them solely with the mouse. Here’s my top-20 list of must-know shortcuts for taming your windows; you’ll never have to move your hands from the keyboard. For completeness, I’ve included many keyboard shortcuts you might already be familiar with; skip down the list to see the ones you don’t know. Use Control-click to select the pictures in a folder you need to rotate, then rotate them all at once. Although keyboard shortcuts can be real time-savers, sometimes it’s hard to press multiple keys at once, (especially while you’re eating a sandwich or holding your phone in one hand). The Windows Sticky Keys feature lets you press one key at a time as you enter a shortcut. You can turn on Sticky Keys permanently by using the Control Panel’s Ease of Access Center options. The Windows Mouse Keys feature is a really useful shortcut that lets you control the cursor with the arrow keys on your numeric keypad. Like Sticky Keys, it can be turned on permanently in the Control Panel’s Ease of Access Center, but you can also invoke it at any time by pressing this key combination. This gesture turns you into a true keyboard jockey. Note that both Sticky Keys and Mouse Keys display a warning message when you turn them on and off. You can disable the warning boxes in the Control Panel’s Ease of Access Center by choosing Set up Mouse Keys or Set up Sticky Keys. This list is just a sample of the dozens of shortcuts available. For a full accounting of Windows 7 interface shortcuts, see Microsoft’s Windows 7 Help & How-to site. 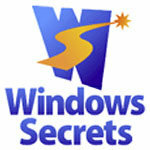 Windows Secrets creating shortcuts, dialog boxes, keyboard, keyboard shortcuts, letter, lincoln spector, menu, mouse, PC Pitstop, windows secrets. permalink. i'll get a copy for this. velly nice as menues and icons are the pits. I know a few and when I need another I learn it. How about a shortcut for muting speakers?